We can pay the LIC premium online using Internet Banking,Credit Card or Debit Card by visiting LIC website. 2. 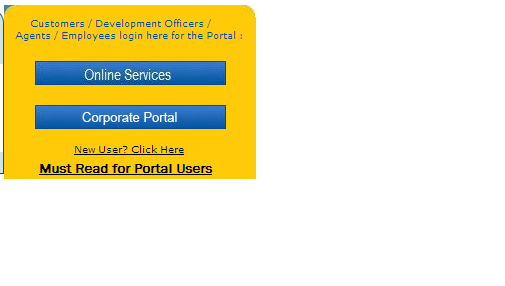 Click "Online Services" button. Click on "LIC PayDirect" button for premium payment. 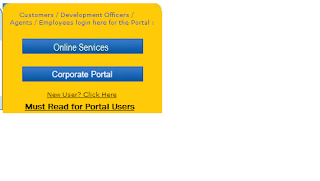 You can also pay premium using "Registered User" button if you have already registered on LIC website. 4. Next page will come that will ask for below details. Mobile No -> Enter your Mobile number. Enter text from image and click on "Submit" button. 5. Next page will come that will display your details. Now verify your details if all are correct. 6. Now next page will come that had below details. Check the box below the "Pay prm" column and click "Submit" button. 7. Next page(Confirm Payment) will come for selecting payment options. Select "Credit Cards/Debit Cards" if you want to make payment using credit/debit card. Now click on "Submit" button. 8. Next page will come related to payment(billdesk). Here u will get the options to choose your bank if want to pay using Internet Banking. or option to choose credit/debit card types if doing payment using credit/debit card. Now, follow the next payment steps and your payment is done. you will also get the payment acknowledgement slip after payment confirmation. 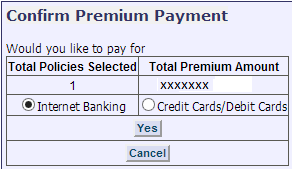 HI, this doesnt seem to work if you want to pay premium online with sbi debit maestro card? Re-Check this, We didnot find any issue while paying the LIC Premium. Try again might be site was down.